We heard a very interesting presentation today on autoimmune pancreatitis and concurrent systemic disease. The pathogenesis is felt to be related to IgG-4 producing plasma cells, and has now been linked to numerous systemic disease manifestations. The case in question had possible associated autoimmune hypophysitis, leading to presentation with a central diabetes insipidus picture. These conditions first came to light following the description of autoimmune pancreatitis and recognition of the association of this disease with various other organ system involvement. The lesions in the affected areas had in common a dense infiltration of IgG-4 plasma cells and T lymphocytes. Involvement has been described in the liver, pancreas, gallbladder, kidneys, retroperitoneum and salivary glands as well as many other tissues. In terms of renal involvement, the most commonly reported lesion is that of tubulointerstitial nephritis, again with a characteristic infiltration of IgG-4 positive plasma cells. Nodular lesions have also been described, which in many cases can be confusing for primary or secondary malignancies. Of note, sometimes these lesions can be FDG avid, and light up on PET scans, further confusing the picture with malignancy. 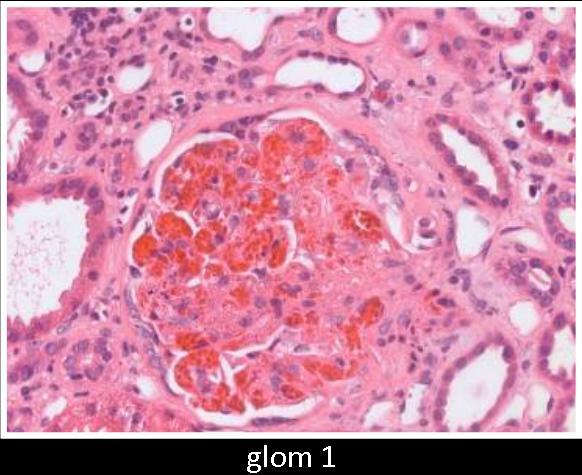 Membranous nephropathy with IgG-4 positive deposits has also been described. Finally, retroperitoneal fibrosis may also predispose to obstructive nephropathy. Diagnosis involves biopsy of the affected tissue with demonstration of IgG-4 positive plasma cells. Serum IgG-4 levels should also be requested and, if elevated, have a sensitivity for disease presence of ~70-95%. Most successful reported treatments have been with corticosteroids, usually starting high and tapering to a lower maintenance dose. There is limited experience in relation to the duration of treatment with steroids or use of steroid-sparing agents in this condition. We frequently receive requests to dialyze patients with moderate renal failure who are bleeding due to the concern that uremia may be contributing to failure to control blood loss. Patients with renal failure do have an increased tendency to bleed, usually manifested by prolonged bleeding time. I was recently reminded by one of my colleagues in conference that while dialysis is an option for treatment of uremic bleeding, it is important to recall (ideally prior to placing the large and inflexible central line) that there are several noninvasive medical therapies for uremic bleeding, some of which work quite well and with minimal side effects. Uremic bleeding is multifactorial, involving dysfunctional Von Willebrand factor, accumulation of many uremic toxins, particularly L-arginine, increased levels of cyclic AMP and cyclic GMP (cGMP) both of which reduce levels of thromboxane A2 (TxA2) and ADP, anemia, which causes platelets to travel midstream through the blood vessels, farther away from the endothelium. Red blood cells also scavenge nitric oxide and release ADP and TxA2. Lower levels of TxA2 and ADP lead to decreased platelet aggregation. Nitric oxide (NO) also plays a central role. L-arginine induces NO synthesis, which stimulates guanylyl cyclase, increasing cGMP levels, and thus decreasing TxA2 and ADP. TNF-alpha and IL 1beta are also increased in uremia, both of which induce NO synthase. Treatment options for uremic bleeding include: erythropoetin, cryoprecipitate, desmopressin, conjugated estrogens (premarin, explaining the picture associated with the post), and dialysis. Various doses of erythropoetin have been studied, but the success is dependent not on the dosing regimen but the achievement of a hematocrit of 30%. Cryoprecipitate contains factor VIII, vWF, and fibrinogen, likely increasing the proportion of functional clotting factors in uremic patients' plasma. Desmopressin likely releases factor VIII from storage sites, increasing the concentration of factor VIII and minimizing the effect of dysfunctional vWF. The dose is 0.3 to 0.4mcg/kg IV or subcutaneously. It acts within an hour, but tachyphylaxis develops after one dose, likely due to depleted vWF from endothelial stores. Estrogens can also safely and effectively improve bleeding time in uremic males and females. The dose needed is 0.6mg/kg IV conjugated estrogens over 30-40 minutes once daily for 5 days. The onset of action is about 6 hours, with maximum effect at 5-7 days and a duration of action of 14-21 days. The mechanism is thought to be reduction of L-arginine, which is a precursor to NO. This results in less guanylyl cyclase stimulation and less production of cGMP, leading to increased TxA2 and ADP and improved platelet aggregation. This theory is supported in rat studies. 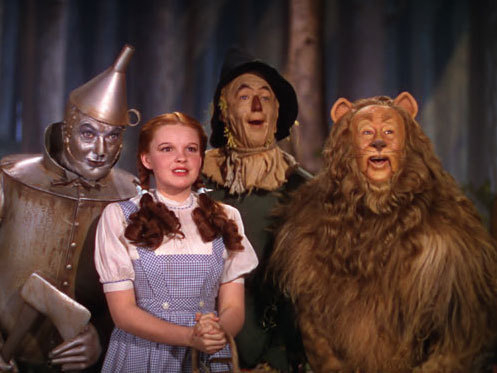 17beta estradiol given to rats made uremic by reduction of renal mass significantly reduced bleeding time within 24 hours and normalizes plasma concentration of NO metabolites, nitrites and nitrates, and of NO synthase catalytic activity. Endothelial NOS and inducible NOS immunoperoxidase staining in the endothelium of uremic aortas of untreated rats was significantly more intense than in control rats. Uremic rats receiving 17beta estradiol had NOS staining comparable to controls. Estrogens have been used for patients with uremic GI bleeding, with some controversy and a negative RCT in angiodysplasia. Nate Hellman also talked about estrogens in GI bleeding here. Nature Clinical Practice published a nice review on treatment recommendations for uremic bleeding, with a summary of recommendations and the strength of the evidence behind each recommendation, along with an algorithm for treatment of bleeding patients. Special thanks to Nirupama Ramkumar for finding and summarizing this article in clinical case conference. A 53-year-old Caucasian male presented with pulmonary embolism, and was found to have nephrotic syndrome. A kidney biopsy showed membranous nephropathy (MN). The disease progressed despite treatment and six years later, the patient underwent a pre-emptive living unrelated renal transplant with basiliximab induction and triple maintenance(prednisone, MMF and tacrolimus). Urine protein/creatinine ratio (U Pr/Cr) was about 1 g/g at the time of discharge. His serum creatinine (SCr) nadir at around 2 mg/dl, so a kidney biopsy was done at 1 month post-tx, showing no rejection and negative deposits on EM. After 2 years of stable renal function and no significant proteinuria, he developed a rise in both SCr up to 3 mg/dl and U Pr/Cr up to 7 g/g. A biopsy showed recurrent membranous GN, with IF positive for granular staining with IgG1 and IgG4, and EM showing subepithelial deposits. 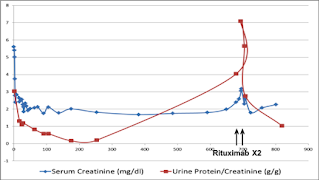 The two main differential diagnoses for new-onset proteinuria and renal allograft dysfunction are recurrent primary glomerulonephritis and transplant glomerulopathy (a form of chronic allograft injury which is generally believed to be immune-mediated). Idiopathic MN recurs in 30-40% of patients, usually between the 2nd and 3rd year. The outcome, as in the native kidney, can be variable, although spontaneous remission appears less common. It is tempting to speculate that transplantation selects a subtype of patients with severe disease (those who progressed to ESRD) and, therefore, patients with recurrent MN are more likely to progress than not. A study of protocol biopsies from the Mayo clinic suggested that histologic lesions of post-transplant MN persist and progress, and usually (in 86% or 12 of 14 patients) lead to clinical manifestations. The impact of recurrent MN on long-term graft survival remains unclear, and most data suggest no adverse effect, although a graft loss of 10% at ~4 years was reported in one study. One of the exciting developments in our understanding of MN has been the identification of the antibody to M-type phospholipase A2 receptor (PLA2R), a podocyte antigen, in ~70% of patients with idiopathic MN. As has been noted previously in this blog, there is evidence suggesting that levels of the anti-PLA2R may correlate with both disease activity and the likelihood of clinical response to treatment with rituximab, a monocolonal Ab to CD20 that targets B cells. Treatment with rituximab has been shown to reduce foot process effacement and lead to regression of immune deposits in those who respond. Stahl, et al reported a case of early recurrent MN in which anti-PLA2R Ab was detected pre-transplant and at the time of recurrence. Levels of the Ab fell rapidly (within 2 weeks) after treatment with rituximab, although proteinuria appeared to increase transiently (at 2 weeks), and then remit (at 2 months). It has been demonstrated in several reports that proteinuria is reduced gradually and may take several months to reach its nadir. Similarly, in our patient, we found (thanks to Dr. Becker's lab) that anti-PLA2R, as detected by Western blot, was present in sera pre-transplant as well as time of recurrence, and disappeared completely after treatment with 2 doses of rituximab (1 g each). Both SCr (2 mg/dl) and U Pr/Cr (1 g/g) had improved by 3 months (figure above). When making a decision about urgent dialysis it is important to have an much information as quickly as possible. In suspected ethylene glycol toxicity time is of the essence. Waiting 3-4 hours or more for the ethylene glycol level to come back can be deleterious to the patient. Often times we are left to make the decision to begin dialysis or therapy based upon a high degree of suspicion from the available laboratory data and patient circumstances. During conference recently I heard of another pearl that could help in determining if ethylene glycol was ingested. This is termed the lactate gap. Essentially this is the difference in values obtained from 2 different analyzer methods. As seen in the graph, taken from this paper, the commonly used Radiometer method can result in a falsely elevated lactate level when compared to other assays (iSTAT, Bayer, Vtros and Beckman). This likely occurs because metabolites of ethylene glycol cross react with L-lactate oxidase. The Radiometer assay uses the enzyme L-lactate oxidase to accelerate the reaction between L-lactate and oxygen, the products of the reaction being hydrogen peroxide and pyruvate (click here for discussion of this). The L-lactate concentration is then computed from the measured hydrogen peroxide concentration. It is thought that glycolate (a metabolite of ethylene glycol) is able to interact with L-lactate oxidase and produces a significant amount of hydrogen peroxide and thus the test reports as a high lactate level. The enzymatic L-lactate assay are also subject to interference from certain drugs at toxic levels such as; Isoniazid, Acetaminophen and Thiocyanate. The radiometer method of detecting lactate is commonly used in point-of-care testing such as those reported by ABG's. It is important to know what your lab is using when interpreting lactate values. Serum lactate levels are typically computed using a non-radiometry method. Obtaining simultaneous radiometer lactate and another method of lactate measurement and computing the lactate gap (the difference between the two values) can help in distinguishing true lactic acidosis from ethylene glycol toxicity. In general, when we are asked to evaluate a patient with liver disease for the development of acute renal failure, the three top differentials are usually: true hepatorenal syndrome, a prerenal picture (often 2/2 overdiuresis) and ATN. Cholemic nephrosis can also be considered but it usually requires very high bilirubin levels. These causes were previously discussed on prior blogs. However, I wanted to focus on some more atypical etiologies that we should keep in our list in case things don’t look as straight forward. The first key point is to always carefully look at the urine on microscopy and quantify the proteinuria. The latter is important since some conditions that have proteinuria do not show on dipstick (not related to albuminuria), like AL amyloidosis, which can also be a cause of liver disease. 1) Alcoholic cirrhosis: Mesangial IgA deposition associated with chronic liver disease, is the most common form of secondary IgA nephropathy. An imparied removal IgA-containing complexes by the Kupffer cells in the liver is thought to predispose to IgA deposition in the kidney. Despite the frequency of glomerular IgA deposits in advanced liver disease, most adults have no clinical signs of glomerular disease. It is unclear why some patients are predisposed to renal manifestations while others are not. 2) Viral hepatitis (HBV or HCV): might lead to variable glomerular lesions. It is important to add complements and cryo to your workup. MPGN: (low C3 and C4) Renal manifestations range from hematuria to nephrotic syndrome. In some cases, its associated with mixed cryoglobulenemia (positive Cryo and low C4). Cryos picture tends to be associated with purpura, arthralgia and lymphadenopathy. Membranous nephropathy (normal complements): thought to be related to HBeAg and anti-HBe deposition on subepithelial space. Secondary polyarteritis nodosa (vasculitis): typically occurs within 4 months after the onset of HBV infection (also cases with HCV) and has similar clinical features as the idiopathic form - systemic symptoms (fever, weight loss, fatigue) + Skin signs (purpura/livedo reticularis) + neuropathy + GI symptoms (pain/bleeding) + HTN. 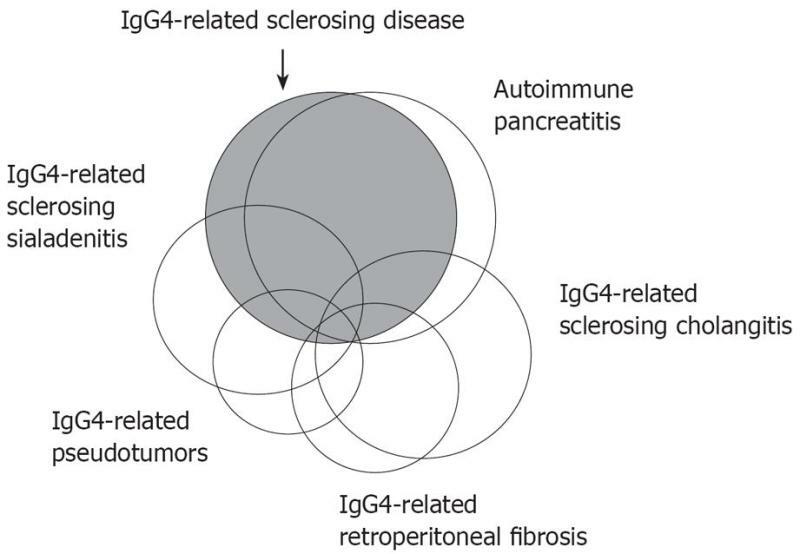 3) If an auto-immune disease is the cause of liver failure, like primary sclerosing cholangitis (PSC), you have to think about a possible concomitant auto-antibody process. Interestingly, more than 75% of patients with PSC have either ANA or pANCA. A small proportion also have either anti-GBM or anticardiopilin antibody (antiphospholipid syndrome). Finally, more than 90% of patients with PSC also have ulcerative colitis. The latter may predispose to secondary amyloidosis (amyloid A deposition 2/2 chronic inflammation) or its treatment with sulfazalazine (type of NSAID) might lead to AIN or nephrotic syndrome. Overall, just be thorough in your evaluations and don’t let the routine of patient care limit your differentials. Picture: Chihuly amazing work on glass that is being exposed in Boston now! Truly outside the box. Hyperuricemia; treatment indications beyond gout? What do you do when a patient with long standing CKD happens to have a uric acid level of 10mg/dl but has never had gout? Do you treat? Hyperuricemia occurs when an imbalance exists between uric acid production, which is mainly due to purine metabolism, and uric acid excretion. 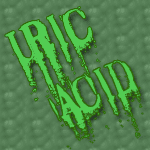 Humans lack the enzyme uricase which is responsible for converting the less soluble uric acid to the more soluble allantoin. It is interesting to note that hyperuricemia only exists in higher animals. This article published in Hypertension hypothesized that a mutation in uricase (urate oxidase) in humans occurred during the Miocene era to give us survival advantage owing to hyperurecemia in maintaining blood pressure under low-salt dietary conditions. In today’s developed salt-rich environment, hyperuricemia has been associated with increased morbidity in patients with hypertension and is associated with increased mortality in women and elderly persons. Hsu et al. found that patients on hemodialysis with the highest percentile of uric acid concentrations had an HR for mortality of 5.67 although the study only involved 146 haemodialysis patients. Furthermore, there is some evidence that uric acid lowering therapy might retard progression of chronic kidney disease in a prospective study of 113 patients with CKD randomized to allopurinol or control. In view of possible long term complications of hyperuricemia in general population as well as in CKD/ end stage renal failure, can uric acid lowering medications being used beyond its usual indications? I think at this moment, treating hyperuricemia beyond the indication of treating gout and tumor lysis syndrome is still premature bearing in mind the possible disastrous side effect of allupurinol (Steven Johnson syndrome). However, new agents such as febuxostat and rasburicase might be used in future larger randomized trials to study the effects of these drugs in reversing or slowing the complications of hypertension and chronic kidney disease. I recently evaluated a young patient for kidney transplant who had been diagnosed at age 13 with MPGN III. He had a slow reacting C3NeF, low C3, normal C4, low terminal complement levels, and by biopsy had paramesangial and subendothelial but no subepithelial deposits. I was confused by the diagnosis of MPGN III, which I understood to be a controversial and exceedingly rare diagnosis. Without subepithelial deposits the histologic pattern was not consistent with my understanding of MPGN III, and my knowledge of the complement abnormalities associated with the subtypes of idiopathic MPGN was vague at best. I decided to read more about the specifics of MPGN III, but instead of instant enlightenment I developed a deeper confusion. This was going to take a while. So I grabbed a glass of wine and kept reading. MPGN is a progressive form of renal failure defined by histologic features. All forms have diffuse mesangial proliferation and subendothelial extension of the mesangium. MPGN I is characterized by activation of the classical complement cascade by immune complexes. On IF, MPGN I is distinguished by subendothelial deposits of IgG and C3 or isolated C3, with frequent presence of C1q, properdin, and C4. MPGN type I is far and away more commonly a secondary disorder- if MPGN type I morphology is found on biopsy, you should probably not rest until all possible underlying causes have been ruled out. Idiopathic forms do exist, most commonly appearing in childhood and adolescence. With activation of the classical pathway, serum C3 levels are low or normal, C4 levels are low, and CH50 levels are low. MPGN II (dense deposit disease) is defined by intramembranous, elongated, brightly eosinphilic, variably refractile electron dense deposits that stain positive for C3 and much less commonly IgM or IgG. This is not thought to be an immune complex disease. It is associated with dysregulation of the alternative complement pathway through C3NeF (C3 nephritic factor), which stabilizes and inhibits the inactivation of the alternative C3 convertase C3bBb, resulting in perpetual breakdown of C3 and continuously activated alternative complement pathway. Factor H deficiency or mutation has also been identified as a cause of MPGN II. MPGN II is also associated with acquired partial lipodystrophy and macular drusen, both of which are also caused by activation of the alternative complement pathway. With activation of the alternative pathway, C3 levels are low, C4 levels are normal, and CH50 levels are low. MPGN type III is thought to be an extremely rare, and possibly not existent (depending on the expert) disease associated with abnormalities of the complement cascade. 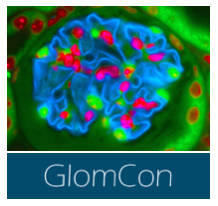 It appears identical on light microscopy to MPGN I, with somewhat less hypercellularity. On EM there is the additional finding of subepithelial deposits as well as subendothelial deposits and intramembranous interposition of mesangium. It is associated with a slow acting nephritic factor of the terminal pathway(NeFt), which stabilizes a properdin dependent C5 convertase ((Cb3)2BbP)- resulting in persistent activation of the terminal pathway. With activation of the alternative and terminal pathways, C3 levels are low, C4 levels are normal, and levels of C5 through C9 are low. The lack of literature on this disease highlights its rarity. Here is an excellent review of the pathophysiology, clinical manifestations, and treatment of idiopathic MPGN. What I've just reviewed makes the differences between MPGN I, II, and III sound very clear-cut, but this is not actually the case. Some cases of C3NeF positive and hereditary MPGN I have been identified, which implies a completely different pathophysiology of disease than classical MPGN I despite the presence of classical MPGN I histology. As a result, there is a movement to reclassify MPGN based on pathogenesis as opposed to histologic criteria. This makes the literature more than a little confusing. In my patient, despite the lack of subepithelial deposits, he fit the diagnosis for MPGN III based on his serum complement profile, with slow reacting C3NeF, low C3, normal C4, and low terminal complement components. I am also wondering about the risk of recurrence of MPGN in my patient's pending allograft. Idiopathic MPGN I recurs with a frequency of 20-40% and II recurs in about 80-90% of allografts. In pediatric patients, recurrence of MPGN II results in a 15% rate of graft failure at 5 years post transplant. What about MPGN III? I couldn't find anything in the literature. Does anyone out there have any MPGN III transplant patients? Of side note, HUS and TTP also result from dysregulation of this very same complement cascade at some of the very same locations, and it is worthwhile to review and compare to the pathogenesis of MPGN. A young patient was recently transferred to our service for evaluation of acute renal failure that had developed many years following a liver transplant for PSC. She had presented to another institution with nausea, vomiting, fevers and a hemolytic anemia. While with us, she had severe hypertension and a progressive decline in her renal function. 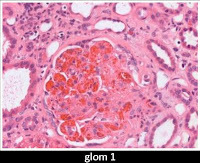 A renal biopsy showed changes characteristic of a thrombotic microangiopathy (TMA) with some underlying FSGS and signs of chronic calcineurin-inhibitor (CNI) toxicity. Unfortunately, despite stopping her CNI and receiving multiple sessions of plasma exchange, her renal function continued to deteriorate and she was discharged on hemodialysis. As mentioned in a previous post by Viresh, the predominant cause of HUS in children is diarrhea-associated. In adults, however, atypical HUS (aHUS) is commoner and it carries a poor prognosis with 25% mortality and 50% progressing to ESRD. There is a clear link between abnormalities in complement and aHUS. It is very important to determine the specific mutation responsible for the HUS in these patients as it has important implications for the likelihood and severity of recurrence after renal transplantation. About half of patients have mutations in Factor H or Factor I. Between 70-90% of these will have recurrent HUS and more than 80% will lose their grafts. Mutations in MCP are also relatively common but much more benign, recurring in only 20% with a lower rate of graft loss. Less common causes include antibodies to factor H which can be relatively easily dealt with by plasma exchange or a gain in function mutation in C3 which although rare, carries a poor prognosis. As mentioned by Nate previously, eculizimab, a monoclonal antibody that prevents formation of the membrane attack complex, has shown great promise in the treatment of aHUS and may be useful in treating and preventing recurrence after transplantation. What about de novo HUS after transplant? This is most commonly caused by exposure to calcineurin inhibitors although it has been reported in association with many drugs including anti-platelet drugs, anti-neoplastic agents and quinine. The first case was in 1981 in a bone marrow transplant recipient treated with cyclosporine. The reported incidence varies from 2-4% in patients treated with cyclosporine with a lower incidence (1%) in patients receiving tacrolimus. The incidence varies significantly with the criteria used for the diagnosis and has been reported as high as 15% of protocol biopsies using relatively loose criteria. Interestingly, the combination of cyclosporine and rapamycin lead to a much higher incidence (20%). This supports the idea that the HUS is a result of direct endothelial toxicity as rapamycin interferes with mechanisms for repair of the endothelium and thus exacerbates any direct toxic effect. There are a number of important risk factors for post-transplant HUS including a prolonged warm-ischemia time, infections (CMV, HIV, Parvovirus), malignancy and Ab-mediated rejection. Interestingly, a paper was recently published that looked for complement abnormalities in patients who presented with de novo HUS after renal transplant and found that 29% had CFH, CFI or MCP abnormalities. Many of these patients had previously had native renal biopsies that showed no evidence of a TMA. One study found significantly higher levels of endothelin in renal transplants with HUS relative controls. This is not surprising given the mechanism of the disease but possibly could be a means of monitoring high-risk patients for early evidence of HUS without performing a biopsy. What about treatment? First of all remove the offending CNI. There are some data that patients can be switched from one CNI to another without necessarily exacerbating the disease and there are some case reports of centers using belatacept for CNI-avoidance after an episode of HUS. Should these patients receive plasma exchange? There are no controlled trials but there are observational studies suggesting that plasma exchange should be used. There are a number of small studies from the 1990s where removal of the CNI alone was employed. A graft loss rate of 60-80% was reported in these series. More recently, the largest series of patients with CNI-associated HUS was reported where all of the patients received plasma exchange and 80% achieved remission. Interestingly, patients with recurrent HUS were much less likely to respond to plasma exchange; these are the patients who might benefit from treatment with eculizumab. There are no data indiciating how long plasma exchange should be continued but it is suggested that one should keep going until there is no longer any evidence of hemolysis. This is a great, recent review on the topic of post-transplant HUS. Are troponin levels useful in ESRD? I recently admitted a dialysis patient to a general medicine service for shortness of breath. When receiving signout from the ED resident, she told me that his troponin T was elevated, but since he had had prior high troponin levels, she was not concerned. I decided to do a quick review on troponin levels in dialysis patients in order to help me assess the patient’s cardiovascular risk. Two main isoforms of troponin are currently used in hospital laboratory assays: troponin T (TnT) and troponin I (TnI). Both are extremely sensitive and specific markers of cardiac ischemia. However, they differ in size and response of serum levels to dialysis. Troponin T is a 37 kDa protein that is elevated in between 30 and 85% of ESRD patients. It is poorly dialyzed, and is cleared by the reticuloendothelial system. TnT levels are either unchanged or increased after dialysis (perhaps because of HD-induced cardiac damage?) Troponin I is a 22 kDa protein integral to the cardiac myocyte contraction apparatus. It is also poorly dialyzed; however, TnI levels usually decrease or remain the same after dialysis. TnI is less frequently elevated in the dialysis population: between 5 and 18% of HD patients exhibit chronically elevated levels. Although troponin levels do associate with renal function, given the size of the proteins, it is thought that increased levels are not related to renal filtration, but instead are secondary to myocardial damage. In support of this notion was a study analyzing troponin levels in transplant patients, which found that Tn did not fall after ESRD patients with elevated troponins were transplanted. While levels of both troponin isoforms can be elevated in dialysis patients, higher levels have been shown to have prognostic importance. One meta-analysis showed that ESRD patients with elevated TnT had a 2- to 3-fold increased risk of all-cause and cardiac mortality; TnI elevations were also associated with increased mortality risk, although data were more difficult to interpret. TnT levels have also been shown to correlate with CAD disease burden. Although not yet standard of practice, the most recent KDOQI guidelines suggest that “a credible case can be made for recommending the measurement of serum cardiac troponins in dialysis patients for the purpose of risk stratification”. How useful are elevated troponin levels in predicting acute MI in dialysis patients? Given the percentage of ESRD patients with chronically elevated troponin T, using TnT alone as a marker for acute myocardial damage will lead to some false positives. Because TnI is less often elevated in dialysis patients, it may be more useful for diagnosing acute events. However, given the prognostic significance of elevated troponin levels, any elevation should be taken seriously in symptomatic patients, even if prior levels have also been high. In the case of my patient, his high troponin levels should have been anything but reassuring. The Accreditation Council for Graduate Medical Education (ACGME) continues to restrict resident duty hours in an effort to improve patient care related to resident fatigue. These restrictions are beginning to impact fellowship training as the shift in workload moves from interns to residents to fellows. 2003 (my intern year) was the initial implementation. The 80-hour work week averaged over 4 weeks and the 24+6-hour rules were put into place (new pt. admits for the first 24hrs, but the last 6hrs just dealing with old pts.). I believe these were good initial steps. Working 30+ hour shifts every 4th day is quite taxing on the body and mind and could not have been good for patient care. However, other issues became evident that were not anticipated. 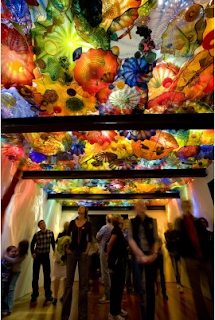 First, many residency programs shifted to a "night float" system. Which in reality is just "shift work". The problem was in the patient "handoff" from one shift to the other. Physicians in-training were not as well versed in making succinct and meaningful patient handoff's to oncoming teams and this in and of itself can lead to medical errors. The second problem is that the work still has to be completed and new residents were NOT in the agenda (and they still aren't). In fact, the number of internal medicine residents have remained stable over the last several years. Hospitalist programs have emerged in academic medical centers to help cope with the increasing case load-- I can hardly recall an academic Hospitalist program prior to 2003. The popularity in hospitalist programs continues to increase each year. Nephrology, cardiology and pulmonary critical care fellowships are all in vulnerable positions as each are assigned a significant amount of inpatient service. This position of vulnerability is only going to get worse as the duty hour restrictions get even tighter on July 1, 2011. During this iteration interns will only be able to work for 16 straight hours and 2nd and 3rd year residents will need to leave after 24-hours of continuous duty. For a comparison of 2003 and 2011 ACGME duty hour policies click here. Who is going to fill in the void? Many nephrology training programs are beginning to take more inpatient responsibility. This is of concern because more time on the inpatient service means less time on outpatient rotations. Outpatient training in fellowship programs is critical to producing well-trained doctors. Secondary to these issues RFN conducted a poll before the July 2011 rules change went into effect to see how nephrology fellows are currently impacted. Interestingly there seemed to be two different opinions. Either no change in work load or an actual increase in perceived workload compared to residency. I can only speculate as to why these two different opinions exist. It could be secondary to the different types of nephrology training programs (research oriented vs. clinically focused). 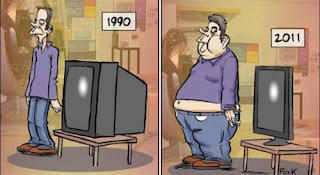 Or could be due to the difference in work load allocation (e.g. strong hospitalist presence vs. light hospitalist presence). I will be interested to see how the new changes will impact duty hours in nephrology, but also cardiology and pulmonary/critical care. 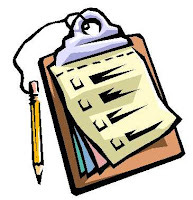 RFN will conduct another poll after the new duty hours rules are put in place. My hope is that nephrology program directors with strive to preserve the outpatient experience. Furthermore, nephrology is already finding it difficult to recruit interested applicants into the field. Further increases in the already busy nephrology fellowship schedule will only make it more difficult. Interest in nephrology as a career continues to decline as highlighted by this recent editorial entitled "The Future Nephrology Workforce: Will There Be One" in CJASN. 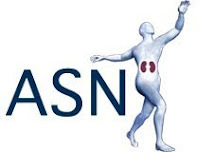 This article, which was presented at ASN in Denver as the Summit on Increasing Interest in Nephrology, highlighted several negative comments about nephrology on the student doctor network threads and concluded with 4 areas to improve interest in nephrology. "1. Develop creative educational rotations that focus on often-overlooked areas in nephrology, such as AKI, critical care nephrology, hypertension, interventional nephrology, and transplantation. 2. Implement strategies for increasing interest among students and residents. 3. Produce an annual report on the state of the nephrology fellowship. 4. 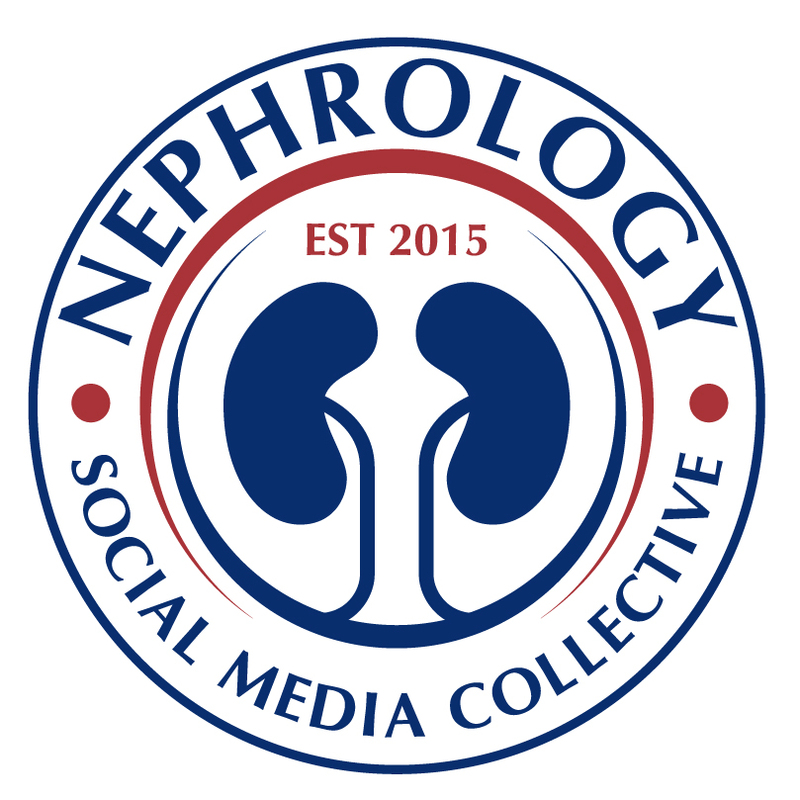 Use social media to highlight the positive aspects of nephrology careers." In order to better understand if nephrology fellows are currently satisfied with their decision to go into nephrology we created a quick survey with the Editors of Nephron Power. Click here to take this survey. I commend the authors of the editorial in shedding light to this important topic. I'm also happy they included social media as a platform to increase exposure and nephrology-related educational initiatives. I am happy with my decision to go into nephrology. I think this is an exciting time for new research that will hopefully lead to better health care for patients with kidney disease and hypertension. This site, the Renal Fellow Network, is proof that there will be a dedicated Future Nephrology Workforce. Nephrology continues to offer a wide variety of career paths and the specialty has many unique facets which is what attracted many of us to this specialty. Lets continue to educate and advance our field. Is lower salt intake bad for you – evidence? There have been a number of articles recently raising some eyebrows in relation to dietary salt intake and outcomes, particularly in diabetics. The article above is no exception, suggesting that those in the higher tertile of urine sodium excretion actually have less fatal CV outcomes during follow-up. The response from experts in the field has been swift and many concerns with the study have been raised. Fourth, the baseline urinary Na was based on one single collections – an average of two or three would have been more robust. It seems that extreme caution is required in interpreting these results – as ever, future research and randomized controlled trials have been called for - whether they happen or not is another matter. When managing patients with metabolic acidosis, some nephrologists are afraid of prescribing NaHCO3 because of the potential adverse consequences of increasing ECF volume and worsening blood pressure. However, there is significant evidence that the kidneys handle NaCl in a different way than they handle NaHCO3. As far back as 1929, there have been several reports showing that blood pressure increased in hypertensive individuals on a high NaCl diet, but not on high NaHCO3 diet (Berghoff RS et al. IMJ. 1929; 56: 395–397). In 1983, Kurtz et al published a seminal paper in Science. They performed studies in uninephrectomized rats treated with desoxycorticosterone (DOC), a model for sodium-dependent hypertension. They exposed these animals to a high NaCl diet, a high NaHCO3, or Na+-ascorbate diet. The rats exposed to a high NaCl diet developed more hypertension that rats exposed to non-chloride Na+ salts. This study strongly suggests that Na+ has to be administered as a Cl- salt to raise blood pressure. The explanation for this might be found in the cross talk between Pendrin and the epithelial sodium channel (ENaC) . Pendrin is a Cl-/HCO3- exchanger located in the apical membrane of type B and non-A-non-B intercalated cells. ENaC is a major sodium transporter located in the apical membrane of principal cells. Pendrin and ENaC reside in two different cell types that do not communicate through gap junctions. Therefore, it is not readily apparent that Na+ reabsorption is linked molecularly to Cl- transport. Despite this, significant evidence indicates that Pendrin plays a major role in ECF volume regulation , possibly via its influence on ENaC. How does this occur? The mechanism has not been completely elucidated but because Pendrin mediates HCO3- secretion, an increase in luminal or basolateral HCO3- is at least partially responsible for ENaC activation and subsequent sodium retention. 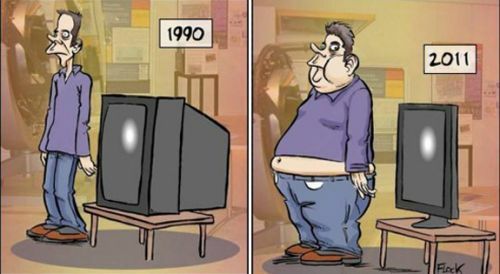 However, this hypothesis has come under scrutiny recently. In elegant studies done in dogs with experimental liver cirrhosis, Levy et al. observed that sodium retention and plasma volume expansion precede the development of systemic vasodilation, suggesting that systemic vasodilation in cirrhosis is likely a homeostatic response to ECF volume expansion. Experimental evidence collected over several decades point towards the existence of an intrahepatic vascular sensor involved in ECF volume regulation: the hepatorenal reflex. Under normal conditions, hepatic sensors would respond directly or indirectly to a decrease in ECF volume in the intrahepatic circulation and will activate renal sympathetic nerves to produce sodium retention and maintain sodium balance. Along this line of thinking, hepatic denervation abolishes this reflex. The hepatorenal reflex has been implicated in the pathophysiology of sodium and water retention in liver cirrhosis. Apparently, the distorted liver architecture and abnormal intrahepatic circulation in cirrhosis will produce changes in portal venous flow that will pathologically activate this reflex with the subsequent development of sodium retention. Adenosine plays a central role in this reflex. Adenosine receptor blockers were shown to exert a natriuretic effect, prevent the decline in creatinine clearance and to decrease mortality in an animal model of liver cirrhosis. More studies are needed to clarify whether adenosine antagonists could be clinically beneficial in these patients. Presents usually with proteinuria. 50% have nephrotic syndrome at presentation. Treatment often unsuccessful. Steroids, cytoxan, and rituxan have been used with varying success. Presents with nephrotic syndrome, hypertension, hematuria. Diabetes can also be associated with fibril deposition, usually 5-20nm in diameter. Lupus can cause fibril formation, and these generally are around the same size as the deposits in fibrillary GN and are arranged in a fingerprint pattern.This article contains an outstanding flow chart for the differential diagnosis of glomerular diseases with organized deposits. For the boards, it may be helpful to remember that the fibril diameter of the more common fibrillary diseases- amyloid, fibrillary GN, and immunotactoid GP are correlated with their position in the alphabet- (A= 8-12nm, F= <30nm, usually 18-20, and I= >30nm, usually 45-55nm).